This week’s free horror movie is the 1962 film Carnival of Souls one of the rare public domain horror films that has been included in the Criterion collection. Invariably films from 1930 to 1934, both by big studios and independents, broke these rules with such scoffing glee it’s admirable to the rebellious teenager in all of us. What I always found interesting was to refer back to this Code whenever possible. I did so on a recent post about the first version of The Children’s Hour on film (These Three) whereas it was made in era where homosexuality literally could not be broached. As I turn now to a film made it in the last wild era before the ’60s, when the classical infrastructure of Hollywood started to crumble. I find that while Blonde Venus it may seem tame by the standards of Forbidden Hollywood box sets, but it is still frequently in violation of the code because of its plot, and in part the redundancy of the document. 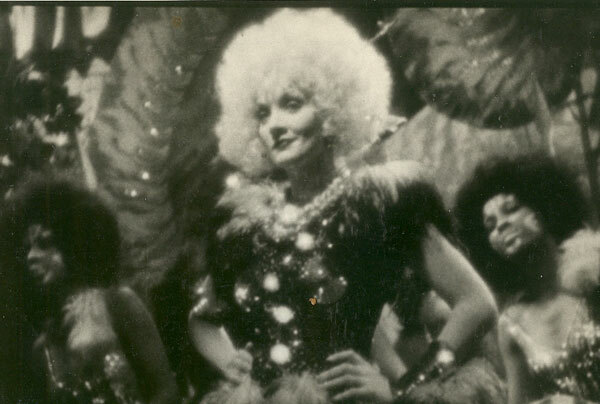 Blonde Venus is about Helen Faraday (Marlene Dietrich) sojourning back into the world of cabaret singing and moonlighting as a pseudo-prostitute solely in order to pay for an operation for her sick husband, Ned (Herbert Marshall). The illness is introduced first and it’s so advanced he can’t sell his body to science to pay for it, nor can he work to earn the money and time is short. An objective is introduced as well as a ticking clock that sends events precipitously into motion. 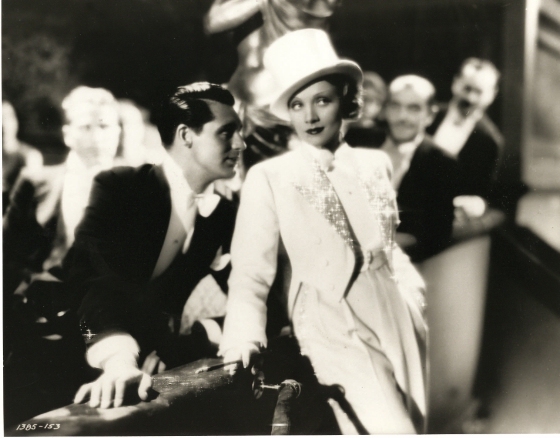 Nick Townsend’s (Cary Grant) infatuation with her paves the way for her to do this and allows not only for the funds to be raised for the operation but for her and her son, Johnny (Dickie Moore) to remain clothed and fed. Their relationship reaches a tenuous agreement where they like one another and spend much time together, but she has no intentions of leaving her husband. It becomes a triangle wherein the other man is trying to win the woman away permanently but is unsuccessful. There are further ups and downs when Ned is cured. Confessing earns her no remorse from her husband. They split and he seeks custody. Helen runs off with Johnny. Adding kidnapping to her rap sheet in this film. However, the Code did exist, eventually get applied, forced creative solutions to story problems, and helped advance cinematic language, but I feel that was more a secondary intention and byproduct, with all due credit for the assist there to Breen for engaging in dialogues and making that happen. Taking all that into consideration and looking directly at the Code versus the facts in Blonde Venus a number of issues can be cited. Note: Sympathy with a person who sins, is not the same as sympathy with the sin or crime of which he is guilty. We may feel sorry for the plight of a murderer or even understand the circumstances which led him to his crime; we may not feel sympathy for the wrong he has done. As you will soon see the way these are written are typically in guideline form. Specific exemptions are more black and white and very closely following a “thou shalt not” format like the 10 commandments. When dealing with questions about social mores as represented in drama things get nebulous, so as restrictive as some of these reads there is some leeway. With leeway it’s hard to say with 100% certainty always what the reaction would be. Even clause (b) is a close-run thing. In a vacuum it’s easy to say that prostitution is evil, and you only sympathize with the person’s plight. However, to a more modern audience, knowing what we know of society at the time, it’s hard to fault Helen. How else, as a woman, can she get that kind of money that quickly? The amount is such that an legal means to amass that sum would not be quick. In this light, it kind of becomes a loaded statement about both feminism and morality. Would it be better for her to not do wrong or sin by the book and let her husband die, and her and her child end up destitute? (a) That evil is not presented alluringly. Even if the later on the evil is condemned or punished, it must not be allowed to appear so attractive that emotions are drawn to desire or approve so strongly that later they forget that later they forget the condemnation and remember only the apparent joy of the sin. (b) That thruout the presentation, evil and good are never confused and evil is always recognized clearly as evil. Helen definitely goes through the wringer, and she does eventually give up being on the lam recognizing the error she made. However, clause (b) says confused inferring in doubt. I think you’d grant the film at least created the doubt. The vagueness of words like “evil is wrong” and “good is right” is also troublesome. Isn’t Ned’s refusal to listen to his wife’s explanations, insisting on divorce, also wrong? Aren’t they then both sinners by a conservative interpretation of the Judeo-Christian ethos’ that are the basis for much of the Code. (A) The presentation of crimes against the law, human or divine, is often necessary for the carrying out of the plot. But the presentation must not throw sympathy with the criminal as against the law, nor with the crime against those who must punish it. (3) No plot should be so constructed as to leave the question of right and wrong in doubt or fogged. (4) No plot by its treatment should throw the sympathy of the audience on sin, crime, wrong-doing or evil. It can definitely be argued that it does not do (2) or (3), (1) would be the issue against a strong Code. She likes Nick but she’s definitely in the relationship for the benefit of her husband. He eventually does know that and takes care of them more because of it. While the transcription may have proved tedious seeing the Code ultimately got me into the right head-space to consider this film more within the context of its time. Viewing films through the prism of the zeitgeist will always be a disservice to that film, it allows for revisionist censorship and other issues. It’s clear that a musical number like “Hot Voodoo” would never be acceptable today by societal mores even if the MPAA didn’t suggest an edit. However, the shocking aspects of the film, what makes it a compelling drama is not likely to move the needle of outrage or intrigue today. What is undoubtedly timeless is the fine construction and execution of this film, it’s intriguing and quite a roller coaster ride. 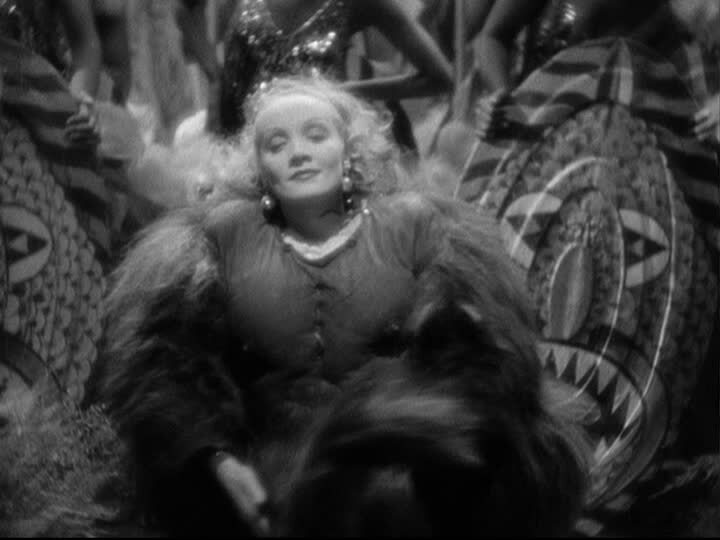 It is a film certifiably Pre-Code based not only on when it was produced but also the treatment of its subject matter.